we will do our best to finish the production if you need the dresses urgently. groups of experience and skillful workers to offer customize service. 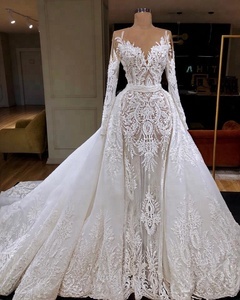 about us we are a middle-to-high grade dress-manufacturer and also lace-supplier,all of the lace decoration we use are produced from our own lace factory. ensure that the address and phone number is accurate enough for delivery,so the package can arrive safely and quickly. 1 YRS Sanhe Yunyi Feifan Commerce And Trade Co., Ltd.
U can custom made the dress that u would like and we also accept pictures custom made. and should be taken in the undergarment you plan to wear with your dress. Remember to double check your measurements before you send them to us. 9 YRS Dongguan Teammail Fashion Co., Ltd. The main fabric: Shell:96% polyester,4%spandex Lining:100% polyester Design features :Special design makes the dress special and suit everybody,all show the beauty of coll arbone and curves. And the manual nail bead make the dress more delicate and higher quality,more elegant temperament. Occasion:For a dinner party,cocktail party,formal occasions,large wedding banquets ,concerts ,friend,date and other occasions. about us company profile guangxi qinzhou xidelai trading co.,ltd. you can show us the pictures, for big order, you&rsquo;d better send us your sample dresses. 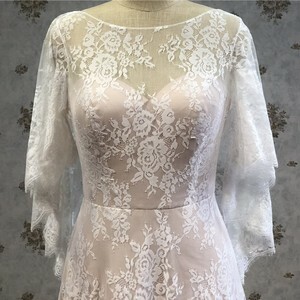 , Ltd locates in Suzhou of China, specialize in designing and manufacturing wedding dresses, evening dresses, cocktail dresses, bridesmaid dresses, flower girl dresses and some accessories for many years . 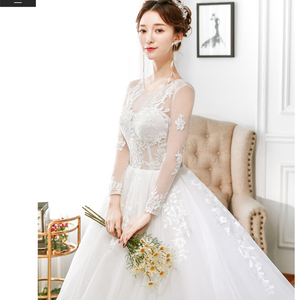 Advantages Click it to know more Packing & Delivery Q:Are you factory9 Yes, we are factory and the main product are wedding dress , evening dress , girl dress etc Q: What's your MOQ9 A: The MOQ is 1 pc if dress have a stock. Q:What is the payment terms9What is the payment method9 A: For small amount payment need full payment before production, 30% to 50% deposit for large amount orders. 3 YRS Zhongshan Alice Bridal Co., Ltd.
back closure lace-up or ykk zipper. payment terms t/t or western union. domestic sales have been rated as gold medals. there might be different in color, because of the computer monitor settings. ** We believe our professional garment experience and responsibility can be your strong back up in China. ** You are welcome to visit our company and come back to us for any requirement you want. Can u offer label service9 Yes ,with your design and details we will make the label and sew for you. 1 YRS Anhui BangDing Commercial Uniform Co., Ltd.
We have professional QC system, we'll check each item one by one to make sure the products in high quality before shipment . We will try our best to offer the most affordable price and best service 3). We can Send you Samples for review the quality before your ordering. 6). 3 YRS Zhongshan City Xinyi Wedding Dress Co., Ltd.
in this case,we will recalculate the cost accordingly. 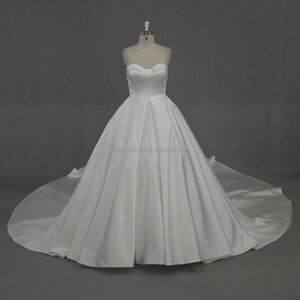 * strapless soft tulle ball gown featuring sweetheart neckline and embroidered lace appliqu&eacute;s. * mordern and breathable. Other fabrics we used include chiffon, taffeta,soft stain and 2080 organza,soft tulle,etc 2 )Embellishment:beading and embroidery Beadings: for rhinestones, we only use Swarovski crystals and Czech diamonds. If you want order brand and washing label from us,please contact with our design office Wholesale 1 )MOQ:1piece 2 )The produce time:less than 25 days 3 )the shipping time:DHL(3-7days),Special TNT(3-7days) 4 )payment:western union,T/T,monrygram The customer is responsible for any tax and or duty charged by their country. 5 )customer need confirm the size,colors,etc 6 )we will supply brand,wasing label by :fuyuanhong&quot; if you want order brand and washing label from us,please contact with our office Customize 1 )MOQ:1piece 2 )the produce time:less than 15-20 days after your payment 3 )shipping time:3-7days by DHL,SPECIAL TNT,UPS,EMS,etc. 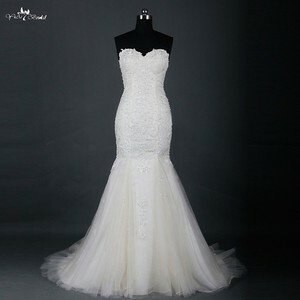 Alibaba.com offers 12,397 other bridal products. 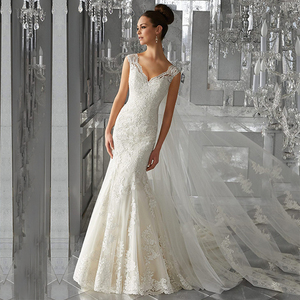 About 17% of these are lace, 14% are wedding dresses, and 2% are zinc alloy jewelry. 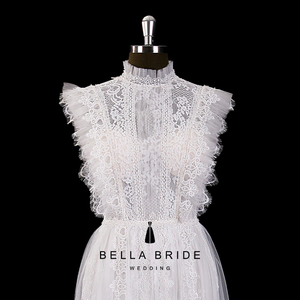 A wide variety of other bridal options are available to you, such as mesh, satin, and organza. You can also choose from anti-static, eco-friendly, and breathable. As well as from 100% polyester, polyester / cotton, and 100% cotton. And whether other bridal is embroidered, appliqued, or knitted. There are 12,397 other bridal suppliers, mainly located in Asia. The top supplying country is China (Mainland), which supply 100% of other bridal respectively. Other bridal products are most popular in North America, Western Europe, and South America. You can ensure product safety by selecting from certified suppliers, including 437 with Other, 299 with ISO9001, and 78 with ISO14001 certification.